No recent loss has rocked the world of Major League Baseball quite like the passing of Tony Gwynn, a beloved Hall of Famer, coach and family man who succumbed to oral cancer at the age of 54 on June 16, 2014. 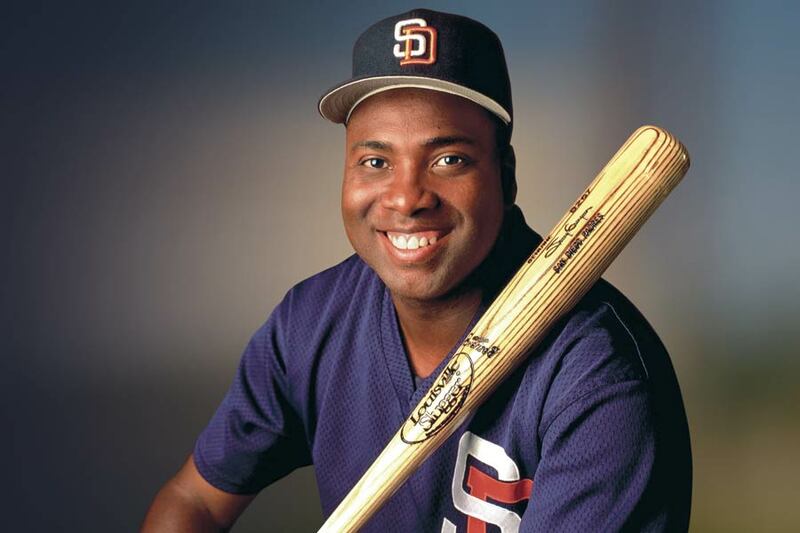 Sadly, Gwynn’s ready smile was ground zero for the oral cancer that would ultimately claim his life. The disease started in the salivary (parotid) gland in Gwynn’s right cheek. The location, says son Tony Gwynn Jr, was no coincidence: that was the side on which Gwynn Sr. placed the “dip” of smokeless tobacco that was always between his cheek and gum. But it wasn’t his predicament alone. “It’s caused a lot of hurt in our family,” said Gwynn Jr., who is also a professional baseball player and has three young daughters. “My dad and I had an extremely close relationship. We talked probably every other day. That void will never be filled ever again.” — Tony Gwynn Jr. In this belief, the Gwynn family is standing on firm scientific ground. According to the National Cancer Institute of the National Institutes of Health, at least 28 chemicals in smokeless tobacco have been found to cause cancer. The most harmful chemicals in smokeless tobacco are tobacco-specific nitrosamines, which are formed during the growing, curing, fermenting, and aging of tobacco. Scientists have found that the nitrosamine level is directly related to the risk of cancer. Besides oral cancer, smokeless tobacco is also known to cause cancers of the esophagus (tube connecting throat to stomach) and pancreas (gland that produces the hormone insulin). It may also cause heart disease, gum disease, and oral lesions other than cancer, such as leukoplakia (precancerous white patches in the mouth), according to NCI. So while some mistakenly believe that smokeless tobacco — because it is not burned — is somehow safer than cigarettes, nothing could be further from the truth. And since it contains nicotine, it is also highly addictive. According to NCI, holding an average-size dip in your mouth for 30 minutes gives you as much nicotine as smoking three cigarettes. When tobacco is chewed or sucked (dipped), nicotine is absorbed through the lining of the mouth directly into the blood stream, where it travels to the brain’s reward center. Once there, it triggers the release of dopamine — a brain chemical that makes you feel pleasure, at least temporarily. So while it’s the nitrosamines that will actually harm you, it’s the nicotine that will keep you coming back for more. And so it was with Tony Gwynn: Though his wife, Alicia, got him to quit several times, he could never stay off tobacco for long. 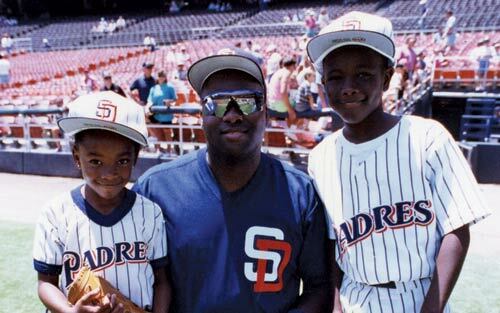 Tony Gwynn with daughter, Anisha, and son, Tony Jr.
With greater awareness of how dangerous smokeless tobacco is — and a recognition of how influential big-leaguers are to their young fans — Major League Baseball has taken some steps to change that. Tobacco was banned in the Minor Leagues in 1993. But attempts by Baseball Commissioner Bud Selig to institute a similar ban in the Major Leagues were beaten back by the players’ union, which took the position that adults should be free to make their own choices regarding tobacco use. The issue became part of the 2011 contract negotiations between MLB and the Major League Baseball Players Association, led by Tony Clark. A compromised was reached: Major League players, coaches and managers are no longer able to carry a tobacco tin or package in their uniforms during games or any other time that fans are in the ballpark. They are also barred from using smokeless tobacco during televised interviews, team-sponsored appearances, autograph signings and other events where fans are present. But they are still allowed to chew it on the field. 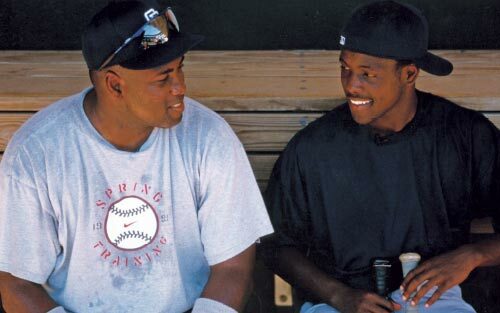 Two of Gwynn’s protégés are not waiting for a ban. Stephen Strasburg of the Washington Nationals and Addison Reed of the Arizona Diamondbacks — both pitchers who were coached by Gwynn during their college years at San Diego State — declared they were kicking the habit in the wake of their mentor’s death. “It was something I always told myself I would quit, like next month, and the next thing you know it’s been six or seven years,” Reed said in a separate MLB.com interview. Tony Gwynn Jr. said he was very glad the two pitchers, who were some of his father’s “closest guys” made public their decisions to quit. “With the platform they had, it probably made a bigger difference announcing it when they did,” he said. “It was a good gesture, but more importantly, it benefits them.” As for whether all Major League players should be banned from using tobacco on the playing field, Tony Gwynn Jr. says he can see both sides of the issue. That ordeal was harrowing — both for the man who endured it physically and the loved ones who are still enduring it emotionally. Tony Gwynn had his first cancer surgery in August of 2010. His doctors opted not to remove every bit of the malignant tumor in his cheek because it was touching a major nerve that controlled facial movement; they did not want to cause permanent paralysis of his facial muscles. The plan was to attack the remnants of the tumor with chemotherapy and radiation post-operatively. After his operation, Gwynn found his face was temporarily paralyzed. He could not smile his famous smile or close his right eye; it had to be taped shut so he could sleep. The radiation treatments that followed dried out his mouth, affected his sense of taste, and caused sores. The only foods he could eat comfortably were oranges and cottage cheese. In March of 2011, Tony Gwynn was pronounced cancer-free. But unfortunately, this did not last. The cancer came back in the same spot the following year and Gwynn endured 14 hours of surgery in February 2012. This time, the entire tumor, along with the affected nerve, was removed. Doctors grafted a nerve from Gwynn’s shoulder to the remaining branches of the facial nerve so that he would not permanently lose control of his facial muscles. This bought the slugger another year, but did not prevent the cancer from returning a third and final time.